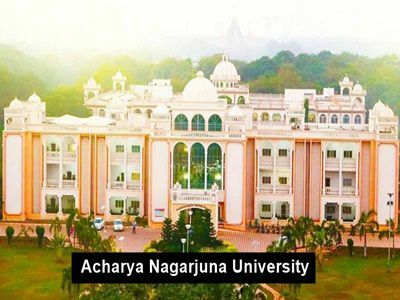 ANU Degree Time Tables 2018: Acharya Nagarjuna University has announced UG 1st, 3rd, 5th Semester Regular/Supplementary Examinations Time Tables October 2018 for B.A, B.Com, B.Sc, BBM, B.C.A. Students can download ANU degree 1st, 3rd, 5th sem time tables from below given links. The Vice-Chancellor has ordered that B.Sc. First Semester HORTICULTURE I – FUNDAMENTALS OF HORTICULTURE 1331-1 HOR-1S is rescheduled and it will be conducted on 22.10.2018 instead of conducting it on 12.10.2018 as per the Time-Table. All the Chief Superintendents/Principals of Nodal/Exam Centres are requested to note of this change and conduct this examination of “Horticulture I – Fundamentals of Horticulture 1331-1 HOR-1S” on 22.10.2018 between 2.00 P.M. to 5.00 P.M. at your college centre. And the same you bring to the notice of the concerned students. The Vice-Chancellor has ordered that B.A. First Semester “Sociology I – BASIC CONCEPTS IN SOCIOLOGY 1126-1 SOC1S is rescheduled and it will be conducted on 26.10.2018 instead of conducting it on 15.10.2018 as per the Time-Table. All the Chief Superintendents/Principals of Nodal/Exam Centres are requested to note of this change and conduct this examination of “Sociology I – Basic Concepts in Sociology 1126-1 SOC1S ” on 26.10.2018 between 2.00 P.M. to 5.00 P.M. at your college centre. And the same you bring to the notice of the concerned students. i didnt wrote first semester of bcom computers.what should i do?